I haven't been following Motorola's ongoing patent spats in Germany particularly closely in the last year, but I do know the company hasn't been doing well there. Failures to assert standards-essential patents against the likes of Microsoft and Apple (though Apple can't use push email in Germany because of Moto), as well as a number of losses in countersuits resulting in injunctions, have probably set back Motorola's ambitions in Deutschland. 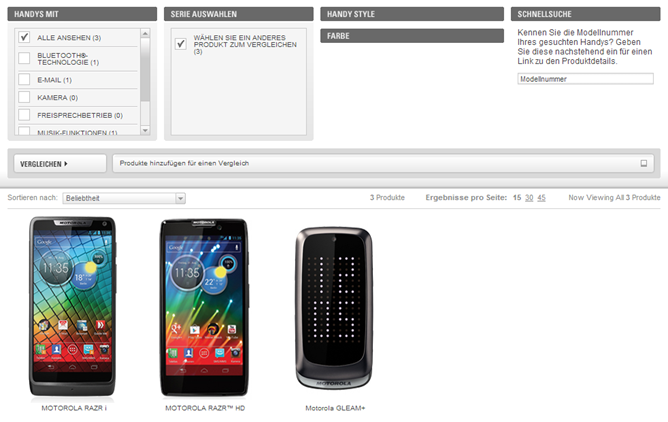 As a result, it seems that for the time being, Motorola has pulled of its currently-available Android products from its German website. A Moto PR person claims this is in order to provide the company time to "rework" the software on patent-infringing devices, something the company has been promising in Germany since all the way back in the beginning of this summer. Throughout this time, though, most of those devices have still appeared on the German website. 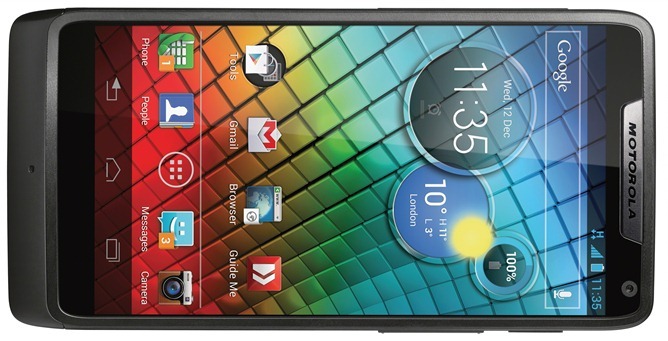 Devices like the XOOM 2, original RAZR, and various mid to low-end Android handsets. Today, they're all gone. The tablets section of the German site is empty, and the mobile phone section has just three devices, and only two smartphones, both of which aren't even on sale in the country yet - the RAZR i and RAZR HD. The other one is just some weird flip-phone with an LED clock. Everything else, though, is gone. We do know that Google has made something of a point of reducing Motorola's presence abroad, though the focus of that downsizing has generally been Moto's less-than-successful Asian ventures. Heck, they made quite a hubbub about the RAZR i launch in the UK last month. While the company has never been a very strong smartphone or tablet contender in Europe (or Germany particularly), the original RAZR was its most popular phone there since the original DROID, and it seemed like Moto was back on track to some kind of relevance in the EU. Today's news does initially sound like it casts a bit of a damper on that comeback. I'd argue, though, that it's probably for the best. Listen, pretty much everything Motorola released prior to the ATRIX HD (and some phones after it), except the original DROID, was middling - at best. Smartphones, tablets, whatever - they all had some pretty big issues. MOTOBLUR was ugly (though the later versions on the RAZR and such weren't awful), and the company's internal hardware specs were simply behind the curve. Bad displays, old processors, and outdated versions of Android. It really was a mess, and that's why Moto lost so much of the market to the likes of HTC and Samsung. The RAZR was a turnaround point, but it too suffered from a mediocre display, slow OS updates, and a chipset that was on the way out of the high-end market. After Google bought the company, the writing was on the wall: the old Motorola had to go. So perhaps it's better for Motorola, as a company, if it can only sell its two latest-and-greatest products in Germany (when they come out), because we know one of those phones (the RAZR i, based on the RAZR M) is pretty damn good, and the other one at least looks promising. In fact, I'd say the RAZR i has generated the most hype around a Moto product in a long time, probably the most since the Bionic at CES back in 2011. It's a cool device from a hardware standpoint generally, and it has the novelty of being the first Intel-powered Android from a major manufacturer (sorry, I don't consider ZTE "major"). With an OTA update to Jelly Bean and a decent marketing campaign (I love their US commercial for the RAZR M), Motorola could definitely get back into European smartphone game.